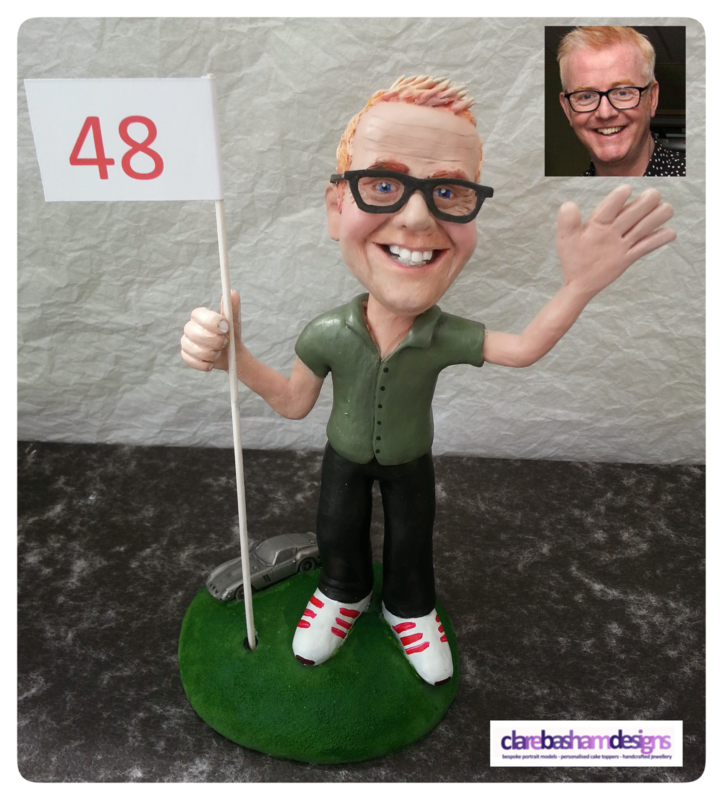 Today I am delighted to share the personalised cake toppers of Clare Basham Designs. Working from a photo or sketch or an original idea you may have, Clare captures her characters personalities adding a memorable twist to a Wedding or special occasion. 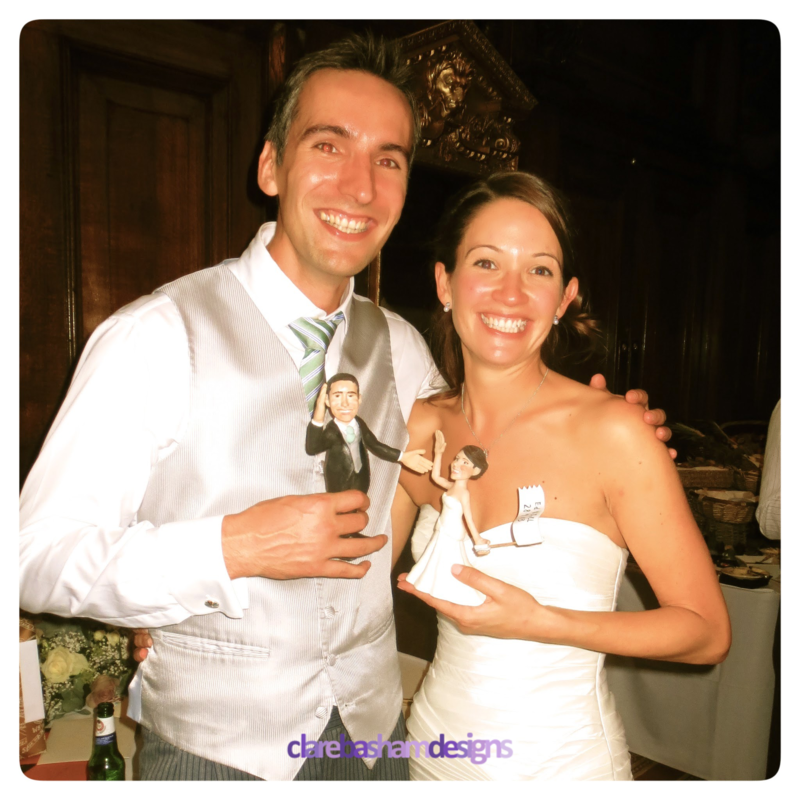 Thank you so much to Clare for sharing her fabulous personalised cake toppers. 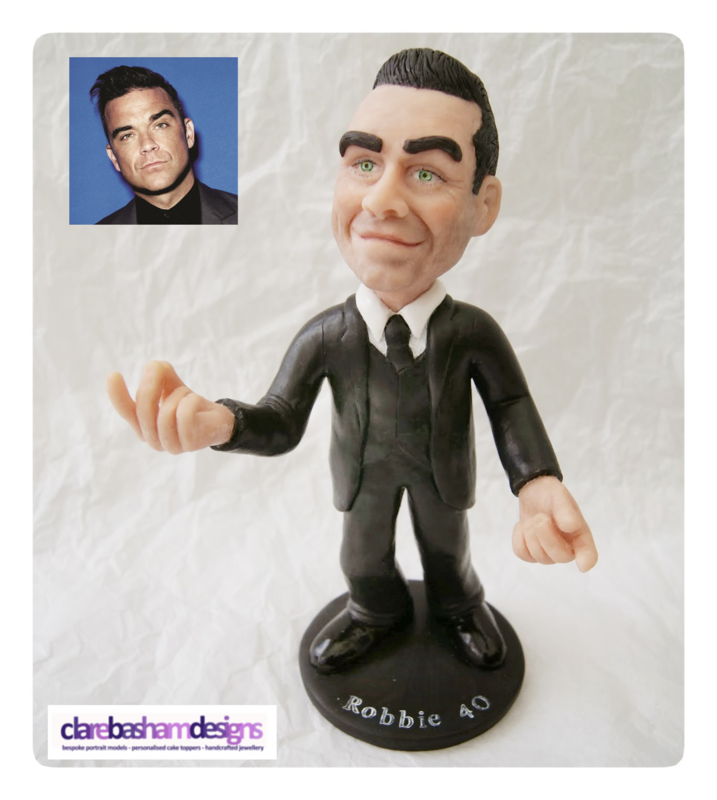 What a beautiful keepsake from your celebration to have something that completely encapsulates you and your personality. Its wonderful to be able to recreate special memories for a long time after a special Event. Thank you Mrs P and P for the feature! If you like my work please do get in touch for a quote. I have three slots left for 2014 and and now taking bookings for 2015 and beyond.